I hope you like it, super easy and super delish. We had enough cauliflower to make it twice in one weekend! I can’t wait to try this soon. Thanks for sharing! It is really easy and very delish! Good luck and let me know how it turns out. Can you put cheese as a topping or would that be too much cheese since it’s used in the crust? I put just a sprinkling of pecorino or parmesan. The crust has quite enough cheese. Good Luck! Would it be safe to prepare the “dough” ahead of time and put it into the fridge until I get home from work? That way when I get home all I have to do is assemble it? Thanks!! This turned out awesome!! I baked some chicken breasts and shredded it for a topping and sauteed bell peppers, onions, and mushrooms and used a low-carb marinara sauce. I doubled the recipe to make a pizza big enough for 4 people. They had no idea it was cauliflower! Thanks for this awesome recipe!! Chelsa! So glad this recipe worked out for you, I wish it was my ‘original’ recipe. It’s a fun recipe. My husband like my homemade sauce (recipe on the blog), sauteed mushrooms, fresh arugula and a drizzle of truffle oil. Good luck on future recipes. This looks awesome! Have you ever tried it without the cheese? My guess is that it may not hold together the same but I was hoping to make it paleo. Thanks! Hi Laurie, I haven’t tried it without the cheese. Good luck! I wondering if this could be made ahead of time and frozen? Maybe 2-3 days in advance? Hey Joella. 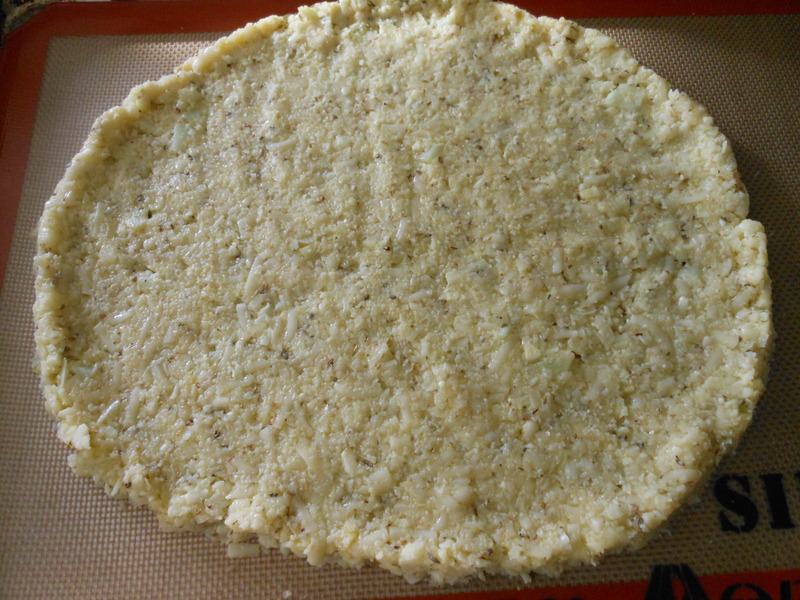 I’m not sure, but a head of cauliflower would make two crust so you could try it out with at least one of them. Good Luck. Lacey, sorry to hear this. I’m not sure how to direct you. I have made it a few times and it has worked out. I know there at lots of variations out there, maybe try it again Good luck! Gonne make this tonight 🙂 Do you have any advice for those who don’t have a microwave? What would be a good alternative choice to cook the cauliflower? You could try steaming the cauliflower. Good luck! Thanks 🙂 It was SOOOO good! 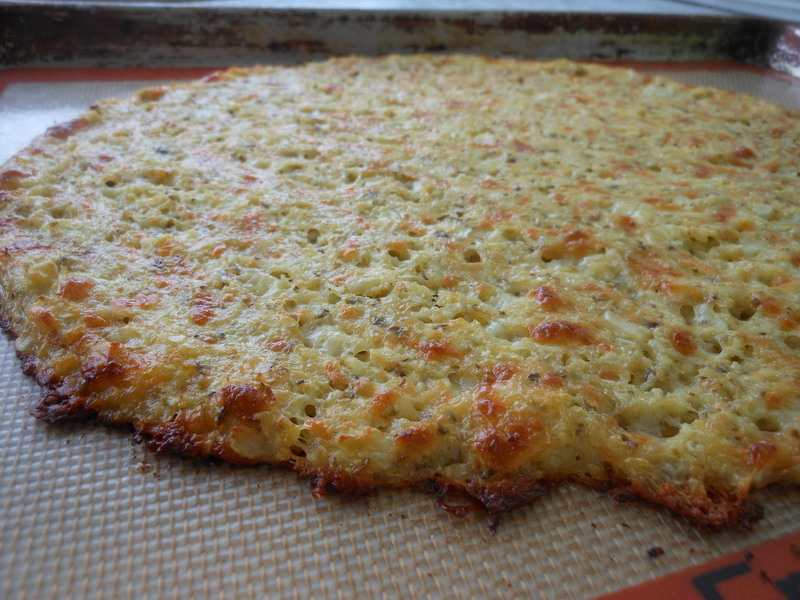 I ended up spreading it all out on a baking sheet after I riced the cauliflower and cooked it on 375 for 15 minutes and it turned out great! I will definitely be making this again! I’m glad it worked out! Yay! Thanks for your comment. 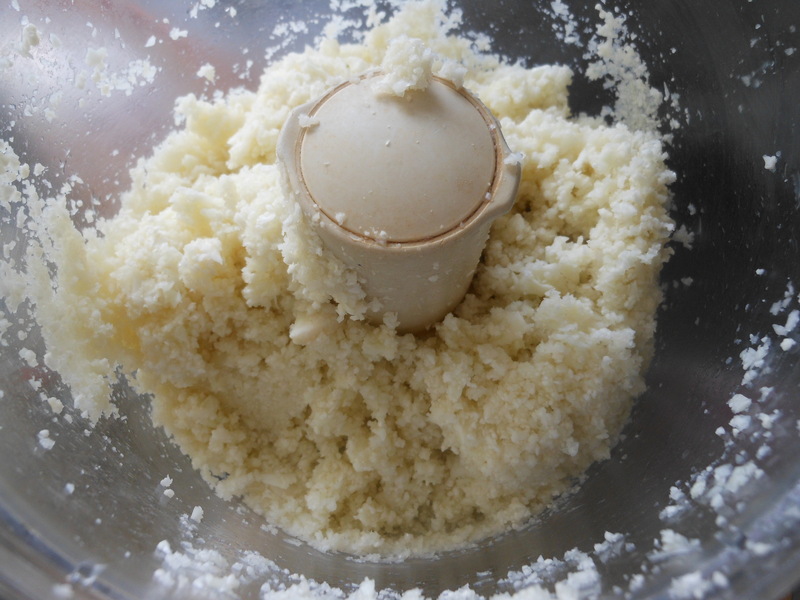 First… Is the picture at the top of the blog after the first baking? Second… Have you kept it for re-heating? I’m thinking lunch the next day since I’ll be the only one in the house who would eat it. My wife and daughter are cowards. haha! yes! I haven’t kept it for reheating, I think its best eaten as soon as possible. Good luck! Thanks Cosmo! I have no problem eating it all! Haha! !